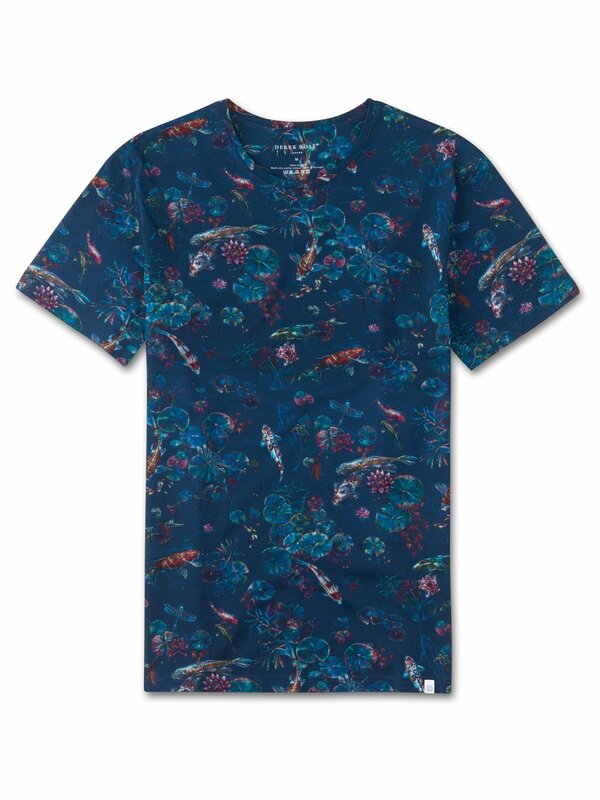 Our hand-drawn print of the season uses a dark navy background to offset the colourful, inky illustrations of koi carp swimming amongst the lily pads - traditionally a symbol of luck and prosperity in Japan. The Henry 7 crew-neck is cut from pure cotton with a carbon-brushed finish for a truly luxurious handle and has small, thoughtful touches such as an extra soft neckband and narrow cover stitching for a refined finish. As always, our branding is kept subtle — with a discreet printed logo at the neck and a discreet flag label at the bottom of the t-shirt.